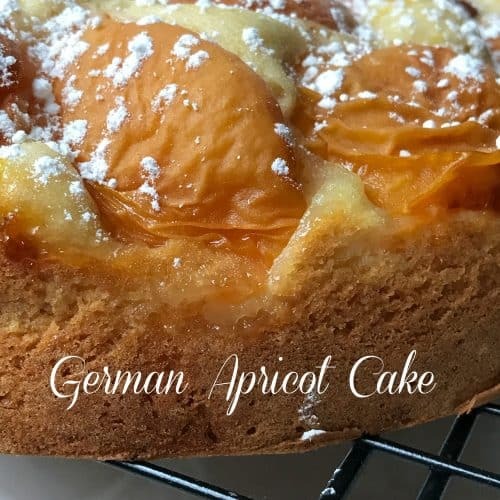 This recipe for German Apricot Cake Aprikosenkuchen, may surprise you. The ingredients are pretty simple but the finished cake is always delicious. 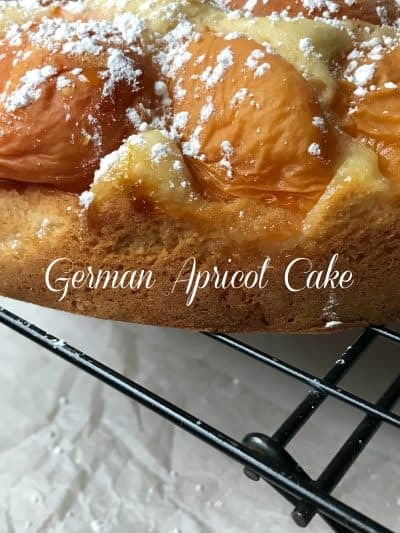 It’s a classic German recipe, that in Germany most Germans know how to make this kuchen/cake by heart. Kuchen can be made with apples, plums, prunes, peaches and pears. Any fruit works for kuchen. Kuchen can also be made with a cream cheese and fruit filling/topping. My sister and brother-in-law had a foreign exchange student stay with them when their kids were in high school. She stayed with them for several weeks. The first thing she made for all of us was an apple kuchen. In fact, she made more than one kuchen during that first visit. My in-laws went to Germany to visit Tanya and her family and they kept in correspondence with each other for many years afterward. I’ll never forget my first bite of ‘authentic’ apple kuchen. It was ♥ at first bite. Kuchen [KOO-khehn] A fruit or cheese-filled yeast-raised cake, usually served for breakfast but also enjoyed as a dessert. It originated in Germany but is now enjoyed in many variations throughout much of Europe and the United States. 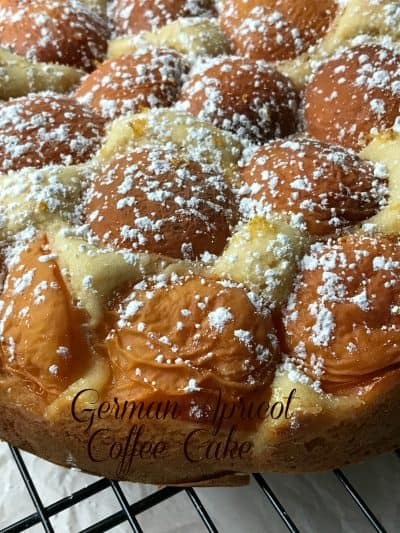 The word Kaffeekuchen is German for ‘coffee cake’ This cake should be stored in the refrigerator and taken out about 30 minutes before serving. Serve with whipped cream if desired. On one of their trips to Germany, my in-laws brought back with them Birkenstock sandals, a pair for each of us. I’d never heard of them before and when I saw my pair of white, two strap, buckled sandals, I thought to myself, “What the heck are those?” and then I thought, “I wouldn’t be caught dead with those things on!” Luckily for me I tried them on and have been ‘rockin’ my Birkenstock sandals ever since:) Right Cindy!! “At Birkenstock, tradition and heritage are important hallmarks of a brand that dates back not years or even decades, but centuries. Birkenstock is deeply rooted in the fine art of crafting premium quality shoes that are good for you. Since 1774, Birkenstock has passed this commitment down from one generation to the next. The result is the best in quality, comfort and support.” In 1774- Johann Adam Birkenstock is listed as “subject and cobbler” in the church archives of Langen-Bergheim, Germany. If you are using a baking pan instead of ​a springform, you can use parchment paper to make it easier to remove the cake once it’s done baking. Place long strips of parchment paper in the bottom of the baking pan before pouring in the batter. After the cake cools, use the ends of the strips to help pull the cake up and out of the pan. You can also purchase parchment paper rounds with tabs for this exact purpose. This method works great for all round cakes. Don’t worry if your apricots (any fruit) aren’t perfectly ripe, or are a little overripe. This recipe is very forgiving and will turn out wonderful, no matter what state the fruit is in. If you don’t like apricots or can’t find any, you can use ripe peaches instead. 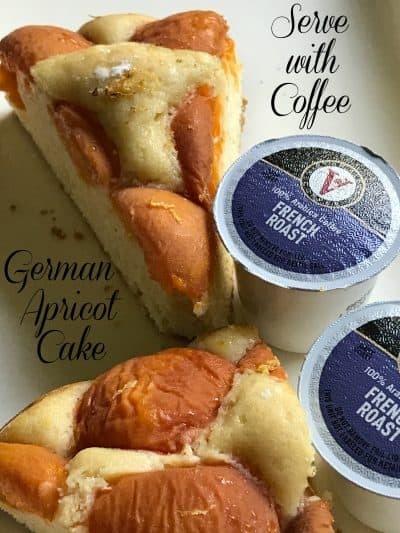 You can brush the top of the baked cake with apricot preserves (use preserves that corresponds with the fruit) to add a glossy finish. Sprinkling the top with confectioner’s sugar is a super way to add sweetness. 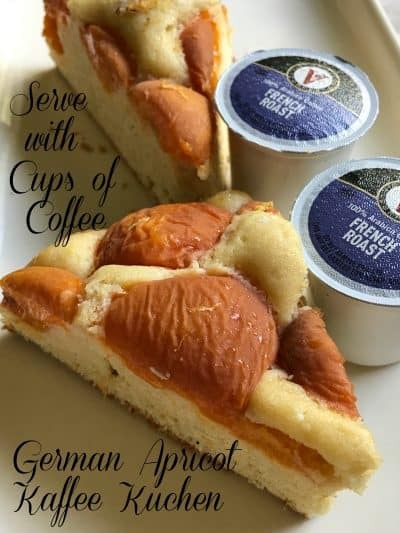 Since German Apricot Cake is not overly sweet, we like to serve slices of this delicious coffee cake for breakfast with mugs of dark roast coffee. Get multi-cultural and serve with Victor Allen French Roast or Italian Roast. Victor Allen’s Coffee was founded in 1979 in Madison, Wisconsin, and soon became a leader in specialty coffee. Victor Allen offers the finest premium coffee with pride in bean selection and expertise in roasting and packaging. 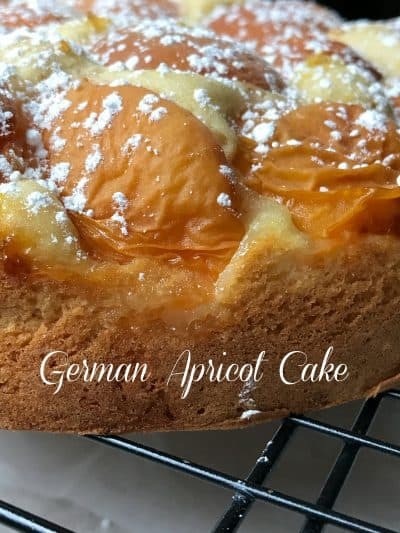 German Apricot Cake/Kuchen is super easy to make and is super delicious. Heat oven to 350 F. Coat pan with cooking spray and set aside. In a large bowl, cream the butter with the sugar and vanilla or vanilla sugar. Beat in eggs, one at a time. Mix in lemon zest. In a separate small bowl, mix together the flour with the baking powder and salt. Beat into the egg mixture. Add the buttermilk and mix well. Spread the batter into the prepared baking pan. Place the apricot halves on top, cut side down. Optional: sprinkle top with an additional 1/2 tablespoon of lemon zest. Bake for 30 to 40 minutes or until golden brown. Keep an eye on the cake especially if you used a different pan size. 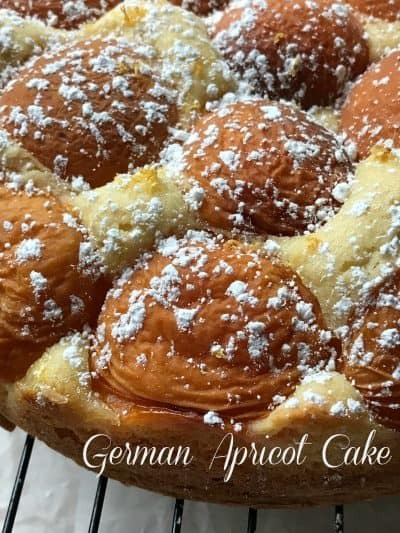 Interested in German Recipes? We certainly have a few you will want to make. German Sour Cherry Cake/Kuchen, German Cucumber Salad and German Spice Cookies.